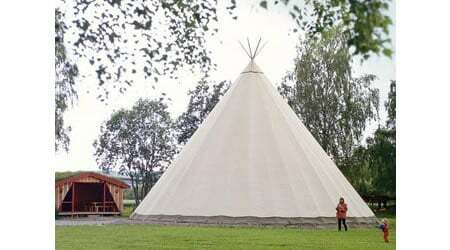 If you are looking to spend your vacation in a teepee then you must checkout the few options available from Perfect Earth Tours. 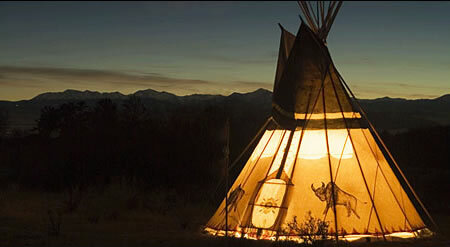 Luxury teepees in the Yukon opened last month in Canada is probably the world’s first upscale spa-retreat located inside a few teepees. 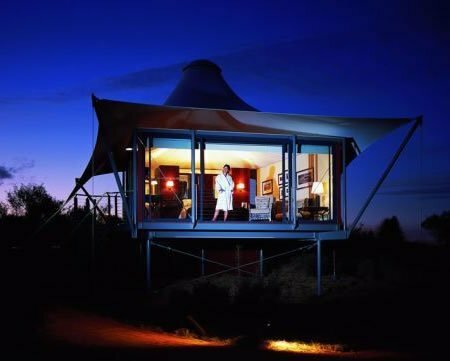 Besides having Solar-Powered DVD Players, wifi system it is also accompanied with a queen-sized bed, silk sheets, fully stocked bar, private dining area and personal bathroom. 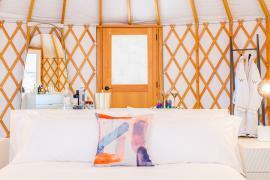 And when you get bored of all this you can go for adventure hikes through the moose- and grizzly-laden wilderness aroma flow massages, alpine honey body wraps and detoxifying steam baths. 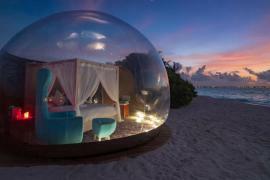 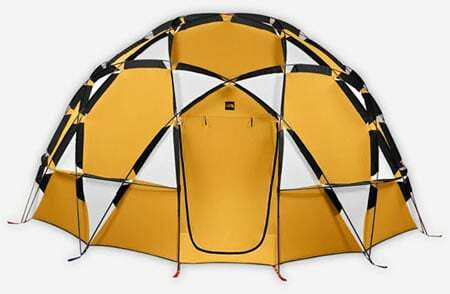 They also have an in-tent fireplace for all the late night desires. 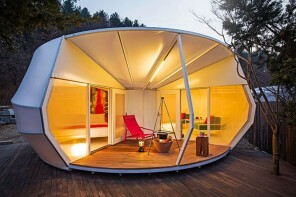 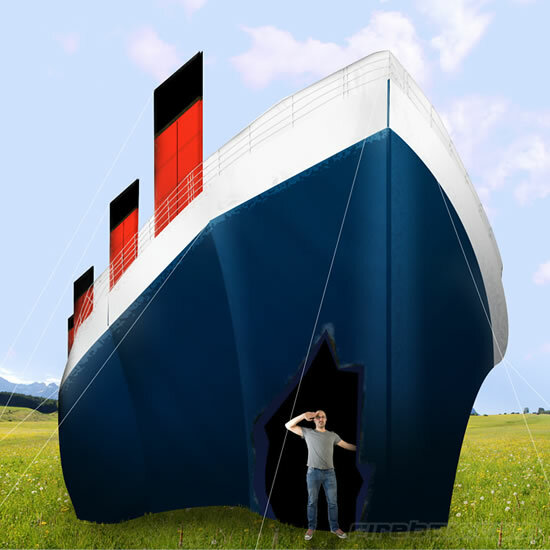 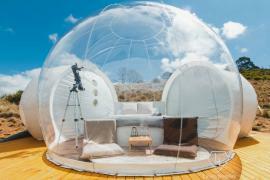 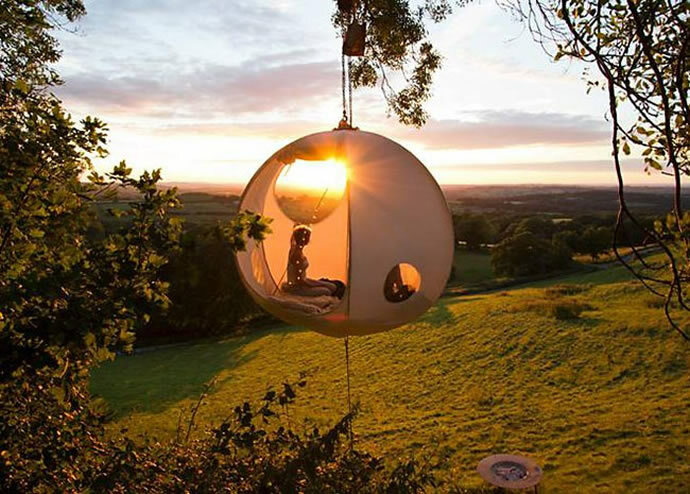 Hang out in the cool new Roomoon Tents that allow you to float 3 feet above the ground!